Why do we need light? What does light help you do? 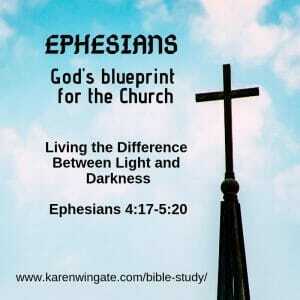 We’re now into our fifth session in the book of Ephesians. 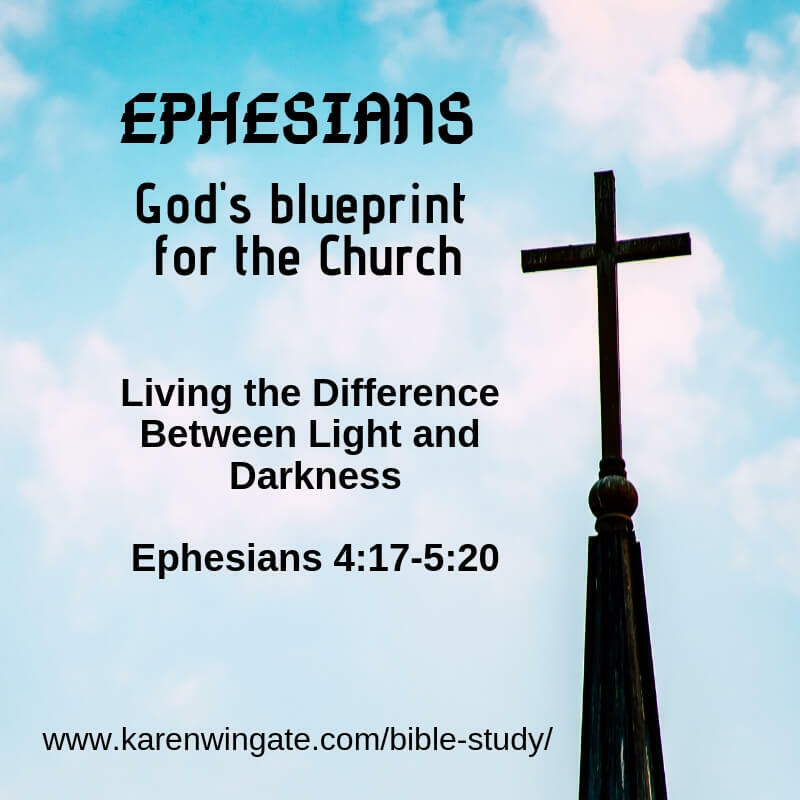 Today, we’ll look at Ephesians 4:17-5:20. It’s a long passage, full of instructions of how a believer is to live a different kind of lifestyle. In fact, a lifestyle that is as different as light from dark, night from day. Anyone who has experienced cataracts knows what it’s like to have clouded vision. Have you had cataracts removed? You weren’t so aware of how your vision was deteriorating until you had surgery. Then, once the cataracts were removed, remember how clear everything looked? I was born with cataracts in a day when doctors didn’t think cataracts could be safely removed from a baby’s eyes. Through eight childhood surgeries, doctors stirred up and broke the cataracts into pieces, believing the cataracts would dissolve on their own. The pieces didn’t; in fact, they remained in my eye, blocking my ability to see clearly. When I had surgery in 2015, the doctor removed the debris and widened my pupil, allowing light to connect with my optic nerve. More light gave me the ability to see more clearly.